May's Card Kit includes the fabulous new Simon Says Stamp Congratulations stamp set, a brand new Simon Says Stamp ink pad called Pale Blush Pink, My Mind's Eye Fancy That 6x6 papers, LOTS of My Mind's Eye Fancy That stickers, and some great Simon Says Stamp cardstock. 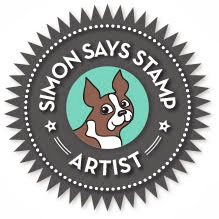 Just a reminder that you can pick up the Simon Says Stamp April 2015 Card Kit HERE for just $29.95 + shipping. If you'd like to receive this kit and future kits for only $24.95 + shipping per month, you can SUBSCRIBE HERE. I'm still waiting for my kit to arrive so I thought I'd share something else I made recently using some fabulous Simon Says Stamp stamps and dies. I die cut a piece of Ranger Watercolor Paper using Simon's Stitched Rectangles Die Set and watercolored a bit of a rainbow using Zig Kuretake Gansai Watercolors. These watercolors are SO vibrant! I can't get enough of them. I then cut a smaller rectangle from the same die set using Neenah White Cardstock, stamped my sentiment from Simon's wonderful Sending and Wishing Stamp Set, and adhered it to my dry watercolor panel with foam tape. I finished things off with a variety of enamel dots. Thanks so much for stopping by! 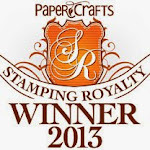 I hope to be back soon with some cards to share using the newest Simon Says Stamp Card Kit as well as a giveaway. That background is so pretty! Love your card. I like everything about your card! 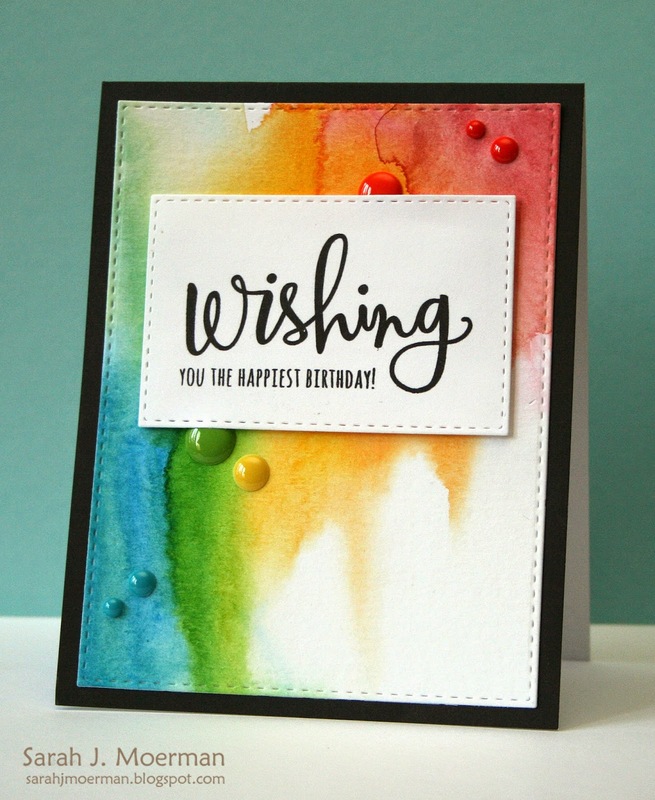 Love the fabulous water colors on your sweet card! Love the watercolour background! Beautiful card! gorgeous card! Colours are beautiful. Wow! Love the washaway watercolor on your background! 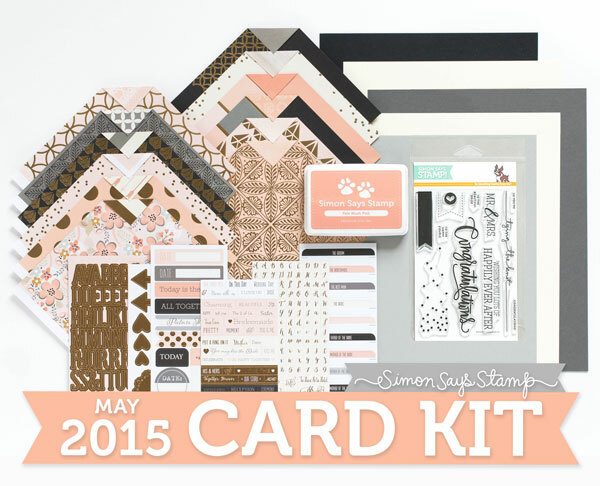 And the April kit is gorgeous! I love how vibrant this card is, yet simple. I also love your enamel dots - colors and sizes. Is there any particular brand you use? I love the background in your card, is awesome! Beautiful card! The colors are so vibrant. I love the way you used the matching enamel dots.